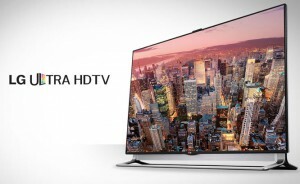 Is LG’s new “Art Slim” series LED 4K Ultra HD television panel as slim as a smartphone? That’s what some people are saying about the 75% thinner LCD panel on this new line of LG television sets. The first details of the latest and most innovative line-up of LG Ultra HD television models were revealed by the company earlier today. 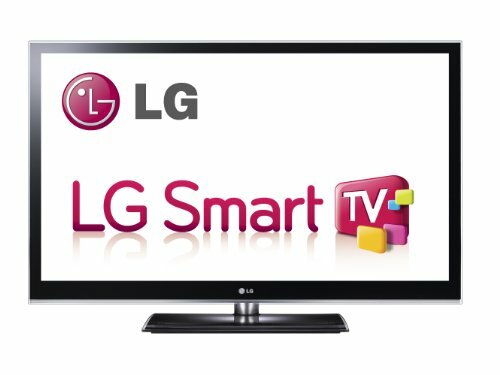 LG is claiming that the upcoming 2015 TVs will be showcasing updated and revised designs, 60% faster loading of the webOS 2.0 smart TV platforms, and an even more improved picture quality. The greater color depths and 25% increase in color gamut of these newly redesigned LG 4K UHD Smart TV models that the company will be launching in 2015 are due to LG’s Wide Color technology. The color gamut is boosted another 30% by the model’s new Quantum Dot technology. Additionally, this feature is also combined with LG’s local dimming technology, True Black Control, which creates deeper blacks. 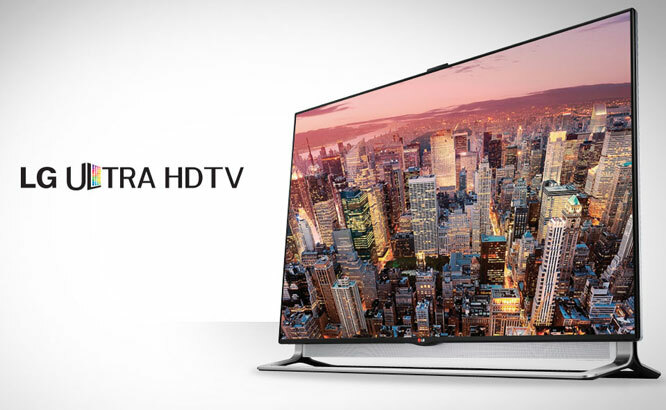 All in all these 3840 x 2160 Ultra HD models are going to be the company’s most advanced and innovative line-up of smart TV models yet. New-fangled LED technologies are behind the ultra-thinness of this new Art Slim series LG 4K UHD Smart TV panel, and the cabinet depths are measurable in millimeters. The bezels on these models are much more streamlined and a whole lot thinner for a more innovative and modern look. Even the sound has been upgraded on these new and improved LG smart TV models with integrated Harman/Kardon speakers. China’s LG electronics and television manufacturers are already being supplied with LG’s new Art Slim series. In 2015, the Art Slim series will be available in a number of sizes from 43” to 65”. 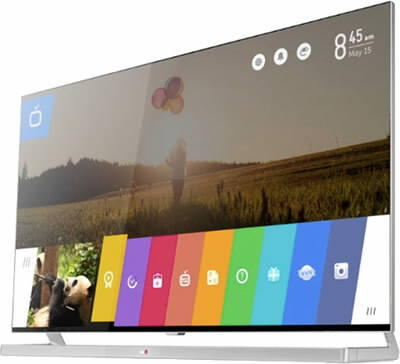 LG will be disclosing more in-depth details of its upcoming new smart television models at the CES 2015 in Las Vegas, NV, which starts on January 6th. 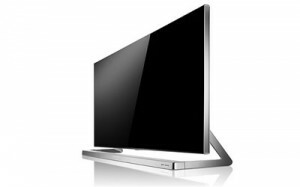 Both the 55” and the 65” Art Slim models will be displayed during the show. 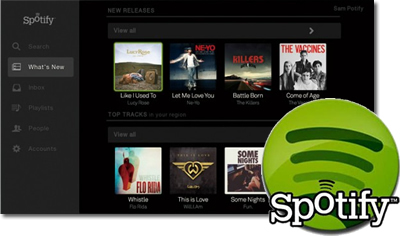 The Spotify streaming music service is making it’s debut on LG smart TV’s in the UK it has been announced. The world famous music service will be available as an app and give users access to more than 20 million songs. 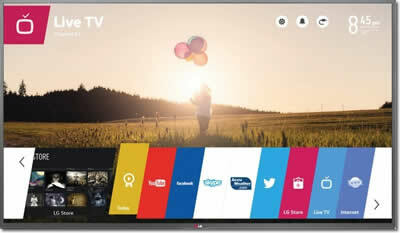 The spotify app will be available on all 2013 LG Smart TVs and will be a, “welcome addition to the growing selection of premium content accessible on our user-friendly Smart TVs,” says Richard Choi, senior VP of LG Electronics. Spotify is already available on rival Samsung TV sets and users will have to pay for a Premium Spotify subscription to listen to streaming music on LG TV’s and across other connected devices, although mobile users can access the service free after the company launched free add supported streaming on tablets and phones last week.